The science is undeniable – we are facing a crisis in the form of human induced global warming. As individuals we’re becoming more environmentally conscious, but the scale of the problem is so enormous we often feel helpless to respond with only our small individual impact. Instead, we turn to our government and local councils. These authorities are in a position to alter the trajectory of the environmental situation and ultimately, our future. We rely on them to make decisions about land-uses, town planning, infrastructure, transport, waste and resource management, as well as enforce regulations that will facilitate effective change. Our Federal Government has committed to reduce emissions to 26–28% of 2005 levels by 2030 under the Paris Agreement (2015) with the aim of maintaining an average global temperature rise between 1.5⁰C and 2⁰C. We can only hope that this target is enough to combat the drastic effects we will experience if we reach that tipping point. In order to achieve this goal, there needs to be dramatic change. Local governments must take immediate and decisive action to comply with national commitments. We need to establish local targets and design, implement and measure action plans to ensure we reach our goals. To set these reduction targets, we must first establish our current emissions and calculate how much they need to be cut. Australia’s Paris Agreement requires a 50–52% reduction in emissions per capita. The various capital city councils around Australia make it easy to find data on their emissions – all except the City of Perth. Sydney and Brisbane councils provide clear, up-to-date and accessible information on their yearly emissions, even going so far as providing emissions per sector. Yet an extensive search for City of Perth’s emissions information turns up only a basic page explaining how to contact the data holder and request permission to access the data. The reduction targets the various cities vary greatly. The following cities offset all city operations: Adelaide, Melbourne, Brisbane, Sydney. Hobart offsets 70% of their operations, but City of Perth’s commitment fall short with 0% currently offset, and the aim of just 20% reduction of their emissions by 2020. 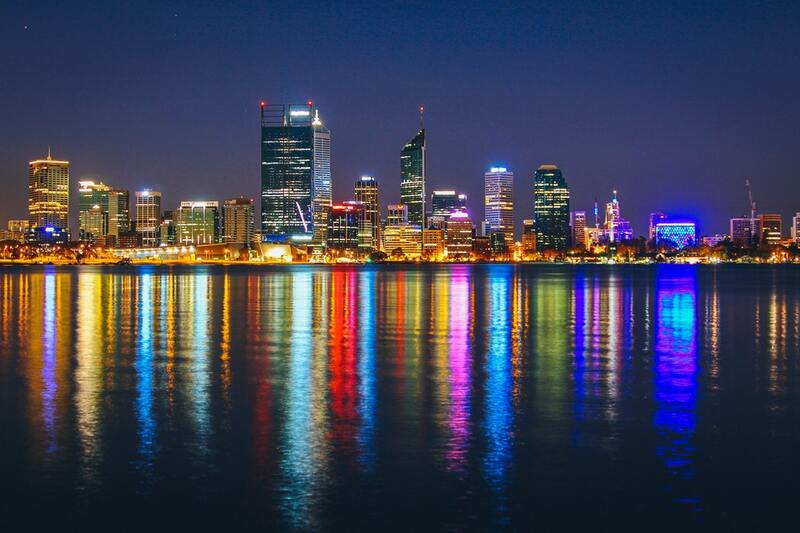 Most cities around Australia have taken the same few generic actions to reduce their emissions: upgrading street lighting to more energy efficient globes, educational outreach programs and improving infrastructure – however some have gone above and beyond this. Councils of Darwin and Brisbane have addressed two issues in one, by establishing waste management facilities that generate electricity from the landfills, reducing up to 40,000 tonnes of carbon emissions. City of Melbourne has invested in carbon offset programs globally, such as helping to avoid deforestation in Peru and investing in energy efficient cooking stoves in Mali. City of Sydney has focussed on going green, literally! They have planted 11,395 street trees, converted 20,400m2 of asphalt and concrete into grass and plants and established 123,944m2 of green roofs and walls, all within the CBD. City of Perth’s main reduction activity was implementing the Vehicle Emissions Offset Program (VEO), which is essentially paid parking. Since its inception in 2007, it has reduced 64,200 tonnes of emissions by encouraging the use of public transport, discounts for carpooling and some of the ticket fees being used to purchase a few carbon offsets via tree planting. They have also implemented eco-friendly car parks with LED signs showing real time bay availability, motorcycle and bike parking with free CAT bus transfers into the city, low energy lighting, natural ventilation with CO2 monitoring and electric vehicle recharge stations. Clearly, this is one effective way of tackling emissions reduction targets. We hope City of Perth will expand its program, and continue to use the Vehicle Emissions Offset Program in conjunction with other, more effective, ethical and environmentally conscious actions. There are big opportunities to do more, and there is growing community support to see councils taking greater action. The purpose of setting targets is to develop the policies needed to reach the goals. Transparency and clear data is essential in addition to collaboration with residents on effective strategies to achieve emissions reductions targets.